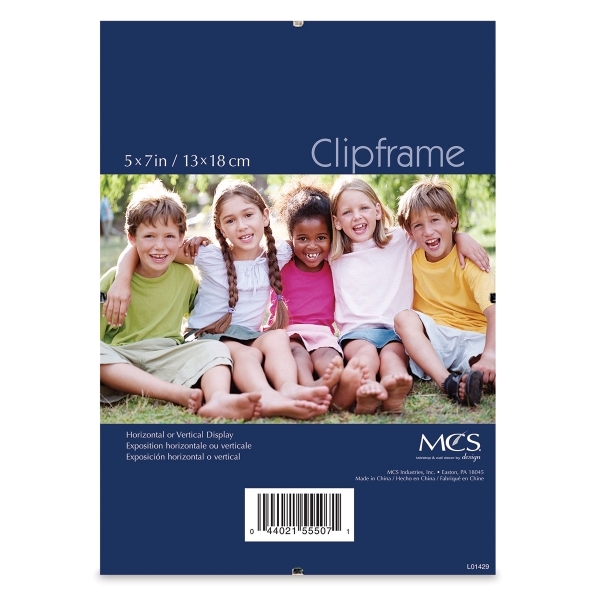 Ideal for minimalist, contemporary presentations, MCS Euro Clip Frames show your entire photo, from edge-to-edge. Sturdy chrome clips hold the glass face to the masonite backing (which has white painted edges). The glass face has polished edges. Pre-mounted hanging hardware. Clip Frame, 5" x 7"
® MCS is a registered trademark.